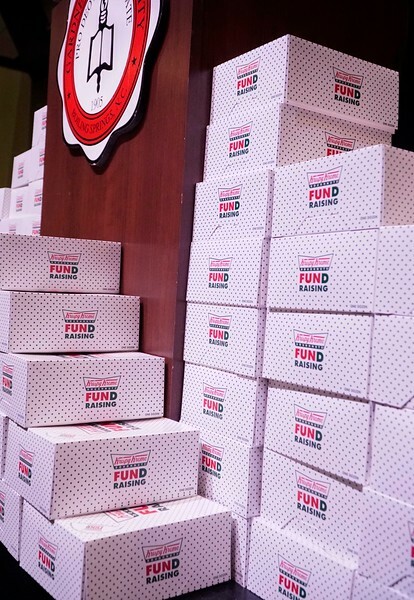 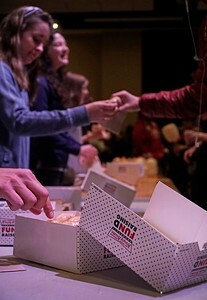 Campus ministries held Midterm Munchies for GWU students and gave away Krispy Kreme doughnuts Tuesday evening in the Tucker Student center. 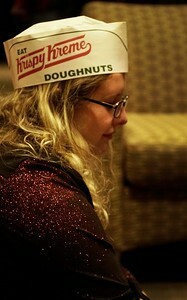 Marsha Miller, freshman, on Tuesday evening at the Midterm Munchies. 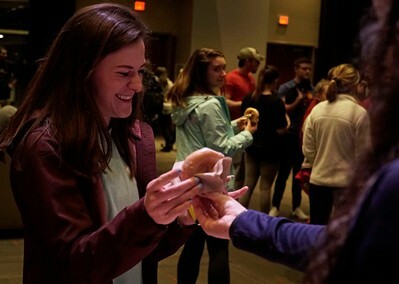 Macie Lathan laughs as she is handed a second doughnut while returning for seconds at the Midterm Munchies event Tuesday evening in the Tucker Student Center. 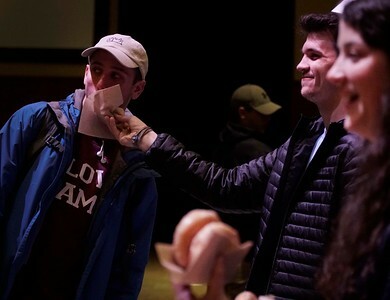 Andrew Kinzer feeds a fresh Krispy Kreme doughnut to his friend, Caleb Silvey, Tuesday evening in the Tucker Student Center for Midterm Munchies. 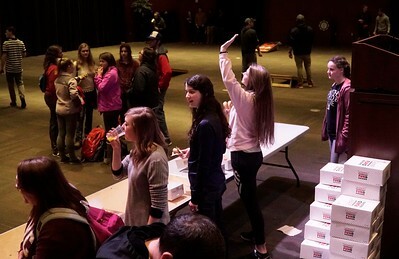 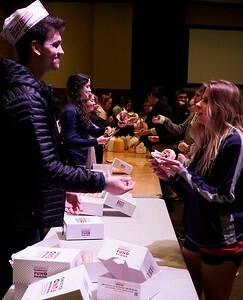 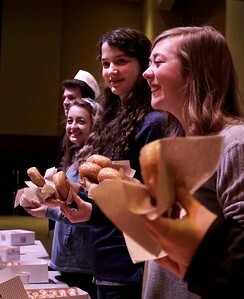 Campus ministries greet the GWU students with smiles and hands full of Krispy Kreme doughnuts as they line up Tuesday evening in the Tucker Student center. 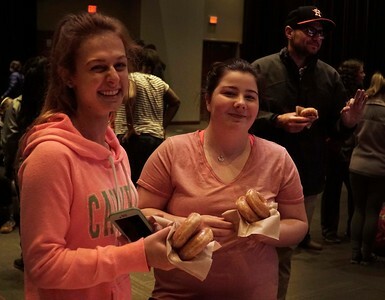 Mallory Balcom (left) and Ashton Knotts (right) enjoy fresh Krispy Kreme doughnuts Tuesday evening at the Midterm Munchies night. 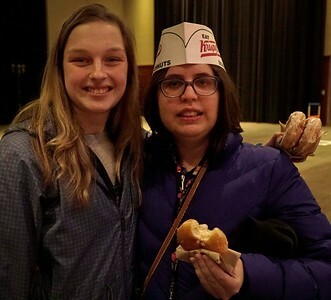 Janie Hollifield (left) and Meg Hibbitts (right) pose Tuesday evening while enjoying fresh Krispy Kreme doughnuts in the Tucker Student Center.